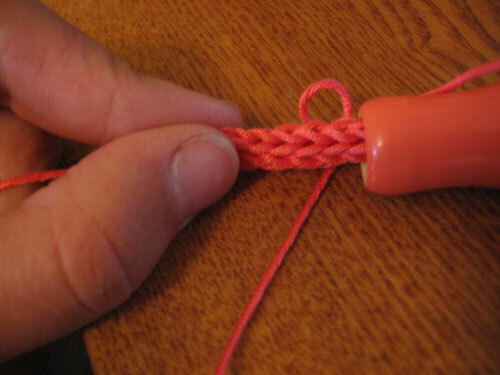 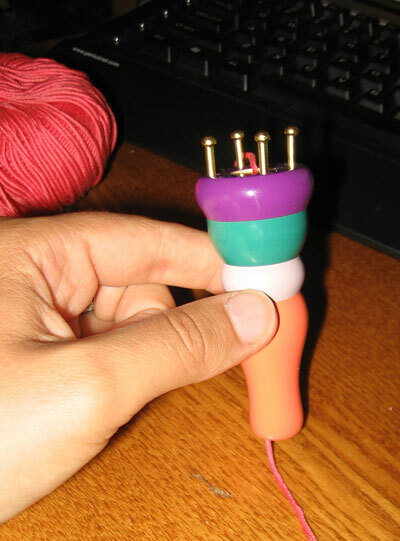 Knitting round cord for the simplest device. 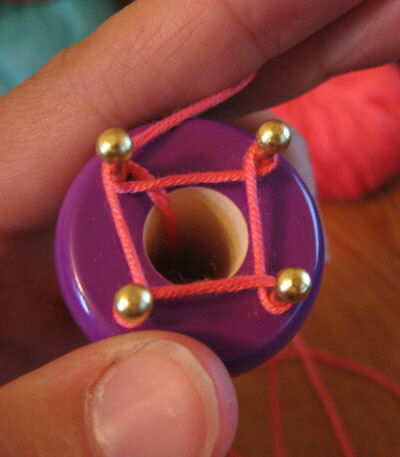 larger coils, they themselves are of different sizes, "studs" on them is a different number, and remove the loop we offer spokes or crochet. 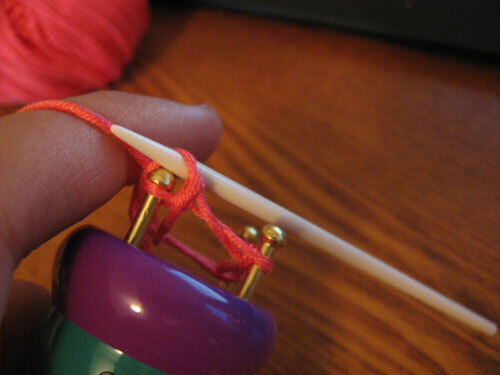 Loop on a nail is captured (needle, needles, crochet - as to whom it is more convenient), so that the working thread is above it. 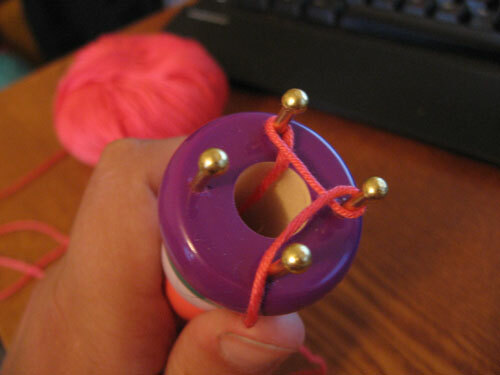 Toss a loop through the nail and through the working thread inside the coil, so that the working thread is formed on a nail a new loop.